I don’t spend all my time looking at cruise line websites – honestly – but I do so occasionally, and (where they exist) the page(s) showing the webcam images are one of the places I like to look. Most of the time the webcam images from the ships are not great, but occasionally you do find one that is memorable. This morning’s was one such. It’s from Arcadia, which is doing a North Cape cruise and is in Tromso today. I have never been to Norway so I have no idea what this image is showing, or whether this is visible from her berthing position in Tromso or not. But it’s a lovely image, made all the more attractive by the grey skies and pouring rain that I woke to here in Sheffield this morning, and I grabbed it straight away. There’s no link on the image – it’s displayed full-size here in the post. Hopefully I’ll do more of these ‘Snatched Images’ posts as, or if, I spot them. Update: I’ve had an email from John Honeywell, who writes a blog as ‘Captain Greybeard‘. 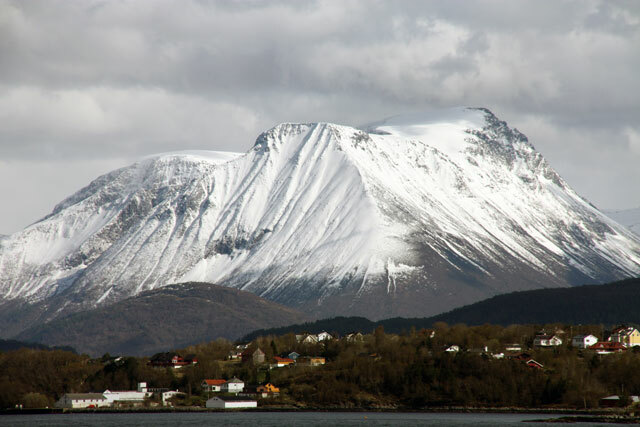 He confirms that the image is indeed visible from the regular berth in Tromso. He’s been there on Saga Pearl II (as was) in 2010, and has sent me the image below which he took on that occasion. I think it’s a superb shot, and my thanks to John for allowing me to use it. It remains his copyright, of course.